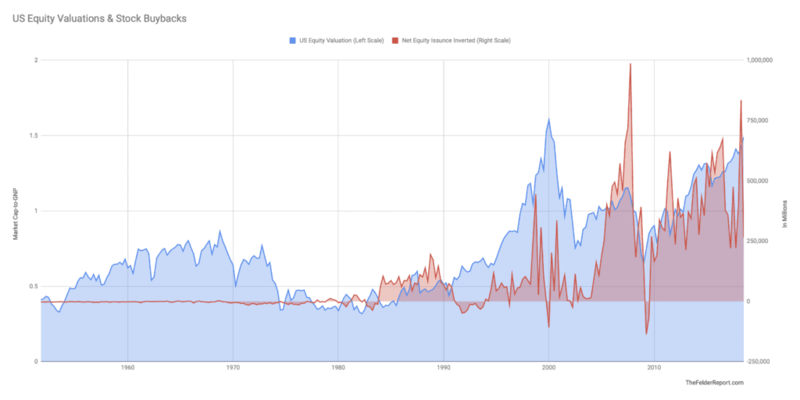 There has been a lot of commentary as of late regarding the issue of corporate share repurchases. Even Washington D.C. has chimed into the rhetoric as of late discussing potential bills to limit or eliminate these repurchases. 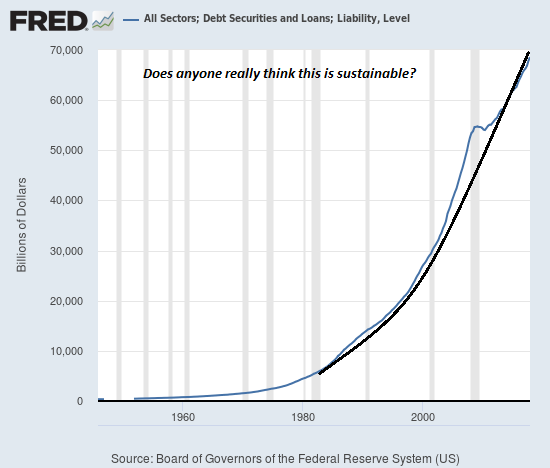 It is an interesting discussion because most people don’t remember that share repurchases were banned for decades prior to President Reagan in 1982. This is a bit of an extreme example but shows the point that share repurchases have a limited, one-time effect, on the company. 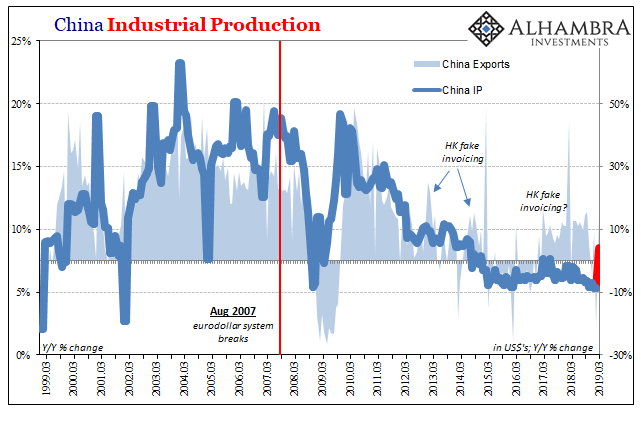 This is why once a company engages in share repurchases they are inevitably trapped into continuing to repurchase shares to keep asset prices elevated. This diverts ever-increasing amounts of cash from productive investments and takes away from longer term profit and growth. As shown in the chart below, the share count of public corporations has dropped sharply over the last decade as companies scramble to shore up bottom line earnings to beat Wall Street estimates against a backdrop of a slowly growing economy and sales. “The tricks are well-known: A difficult quarter can be made easier by releasing reserves set aside for a rainy day or recognizing revenues before sales are made, while a good quarter is often the time to hide a big ‘restructuring charge’ that would otherwise stand out like a sore thumb. The reason that companies do this is simple: stock-based compensation. Today, more than ever, many corporate executives have a large percentage of their compensation tied to company stock performance. A “miss” of Wall Street expectations can lead to a large penalty in the companies stock price. As shown in the table above, it is not surprising to see that 93% of the respondents pointed to “influence on stock price” and “outside pressure” as the reason for manipulating earnings figures. 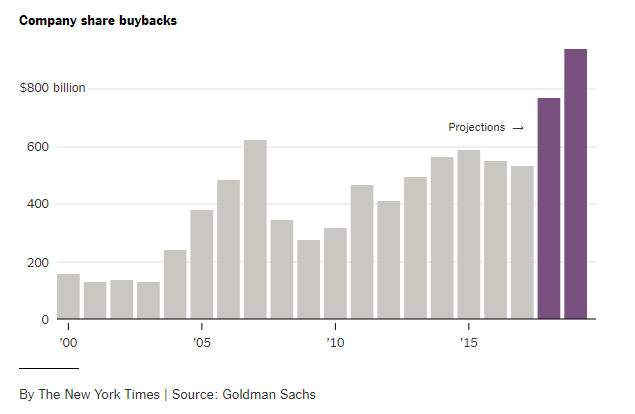 Share buybacks are expected to hit a new record by the end of 2019. There is a problem with that statement. Share buybacks only return money to those individuals who sell their stock. This is an open market transaction so if Apple (AAPL) buys back some of their outstanding stock, the only people who receive any capital are those who sold their shares. 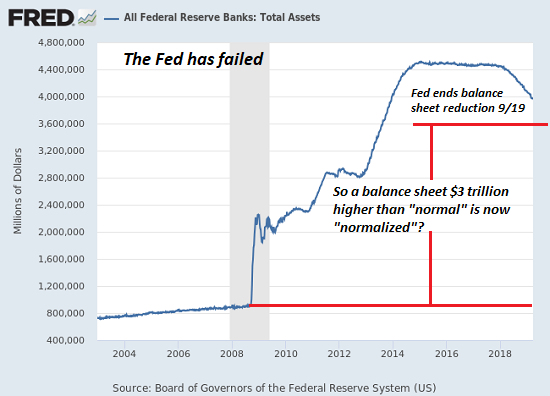 While share repurchases by themselves may indeed be somewhat harmless, it is when they are coupled with accounting gimmicks and massive levels of debt to fund them in which they become problematic. Money that could have been spent spurring future growth for the benefit of investors was instead wasted only benefiting senior executives paid on the basis of fallacious earnings-per-share. 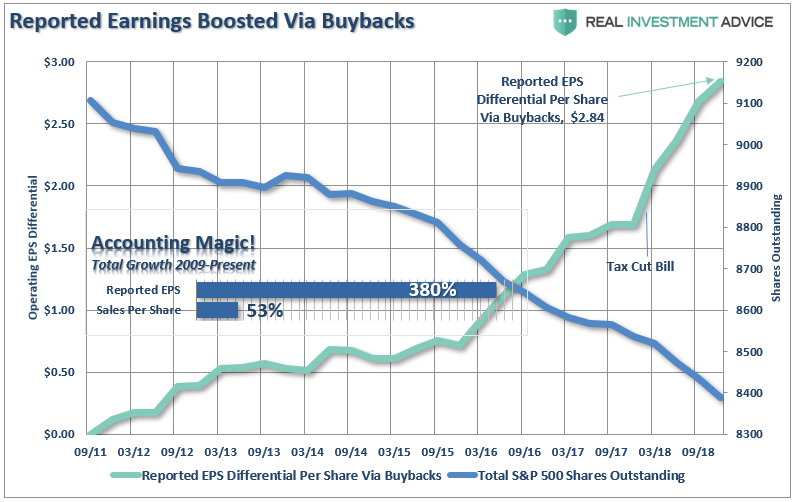 As stock prices fall, companies that performed un-economic buybacks are now finding themselves with financial losses on their hands, more debt on their balance sheets, and fewer opportunities to grow in the future. Equally disturbing, the many CEO’s who sanctioned buybacks, are much wealthier and unaccountable for their actions. Wrongful or criminal deception intended to result in financial or personal gain. Next Artificial Intelligence Or Real Stupidity?